True stories are always the best. The same thing happened to my mother when she was a girl. With two obvious exceptions: She didn’t go home to watch Invader Zim (re-runs) but another TV series, and she didn’t carry a camera to make photos. Sandra: Ohmygawd, ohmygawd! A UFO! Sandra: Invader Zim begins in five minutes?! Whew, I better hurry up! I always look forward to your comics, whether its the expressions or the general look of your characters I am not sure exactly. It makes me feel joyful, and nostalgic? I’m not sure I can not really describe the way I feel, but I really like the way you draw. “I’m not sure I can really describe the way I feel, but I really like the way you draw.” Is what I meant, there appears to be no edit button sorry for the double post. The Copy/Paste command: faithful ally of cartoonists the world over. @ gabrielsthoughts: Please check your e-mails. I’ve written you about it some days ago. Powree had the idea with the moving clouds to illustrate the passage of time. She is often adding nice detail like this to the comics which were not present in the initial script. What is it with UFO’s? Either they’re zipping about, all over the place or they just stand still. Either time freezes and events happen really fast or things just linger? Like the ones at the Mexico air shows. They just linger about, watching all the jets do crazy stunts, each year. Maybe the aleins’re waiting for Invader Zim to come on too. So I heard you like Invader Zim? I pissed off an alien once,it was a glowing orb above a church and I flipped it off,and then it changed colors and started moving through the woods towards my apartment.Fun times. Somebody’s teasing Sandra with a lamp reflector and monofilament fishing line. Yeahh, that’s it. Gotta be. Saw a meteor with a greenish corkscrew tail one night. Awesome. One night while coming home from work, I saw a bright, green light in the super dark sky. It was descending towards the ground. The area is kind of vacant of housing and is nearly dry, mountainous landscape. No idea what it was. Would have called it a flare, except it seemed bigger. As for aliens, I’d like to think that they have tourist types, too. Makes that Mexico air show seem rather interesting. To think, something from beyond Earth traveled an unknown amount of distance to see Earth aircraft doing stunts. Kind of gives something familiar to bond with. Flying saucer? More like a floating one. Comic is bookmarked, in my RSS feeds and bookmarked on delicious. Proof that i’m an insane accountant, I saw LIFO instead of UFO in that first panel and was thouroughly confused…lol. Okay, I know I’ve seen that UFO somewhere before…an anime perhaps? Mega bonus points for an Invader Zim reference. Your cartoons are pretty neat. Good old fashion art mixed with modern writing. wow! i love invader zim, and finding out that the creater of this (extremely good) comic knows about it just makes reading Sandra and Woo a better experience. just a quick question, what are your views on the whole ‘zim or dib’ conflict? do you support a character, and what is your favourite IZ quote. INVADER ZIM!! You gotta like that show! Especially Dib! 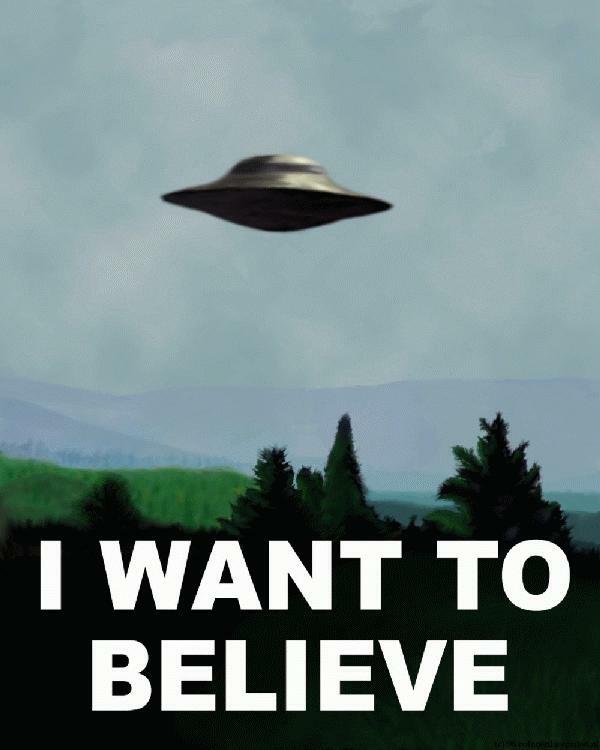 I saw a UFO once. Didn’t look like that though. That must be the Naggon Mother ship Calvin keeps talking about.